Living as an artist is quite difficult. You have to look for ways to make money with your creativity. One of the main sources of an artist to make money is by selling art. But that happens very rarely; usually, people just scroll through artwork and don\'t even buy something they do really like. So what are the ways for an artist to make money apart from selling art? We will discuss the same in this article. 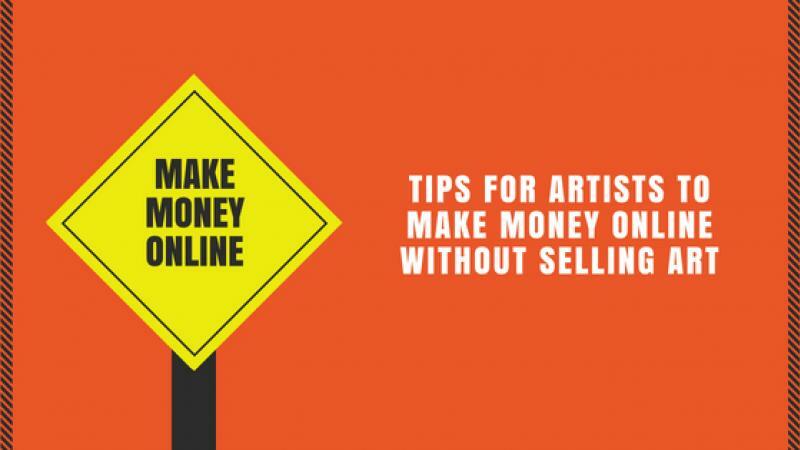 We will know about some tips for artists to make money online apart from selling art. Well, not all art selling platforms let artists make money online without selling art. This unique website, Showflipper lets you do so. It is a haven for artists, writers, poets and designers from 53 countries. It has successfully collaborated with creators and partners from around the world and helped them earn from its unique Social Commerce Business Model. Showflipper is trying to solve real-time problems for creators around the world and help them to sell art online. All this, without compromising on the thing that they do best, create stunning artworks! ShowFlipper has a unique model of social commerce. Here, an artist can easily make without selling their art. With every view on an artwork, artists make money. More the views, more the income will be. Showflipper calls this unique social commerce model as the “TRP Model”. Showflipper acts as an alternate social media for artists and creators from around the world. Hence, all artists and their artwork garner numerous “Likes”; “Reactions”; “Comments”; and “Shares” from audiences that land on the website and visitor view the creations and artworks. To help the creators earn money, Showflipper calculate every creator\'s popularity by identifying an average of the four factors of popularity: Likes, Reactions, Comments, and Shares. Unique views are fresh views on any artwork. Hence, while calculating the popularity of a creator and their artworks, Showflipper identifies unique or fresh views that their profile gets within a definite time frame. Every unique view earns USD 0.003. Hence, if a creator earns 10,000 unique views in a time-frame of one month, the payout for those views will be USD 30. Artists can cash out their TRP earnings to their preferred bank or PayPal accounts. The minimum cash out balance required to proceed is USD 25. The TRP Model also plays a pivotal role during the SF Mega Contest Finale. The creator with the maximum unique views on their creations wins the contest. This sound too good to be true. But, it is a fact! Showflipper\'s TRP Model helps you to earn every day through your artwork even without an actual sale of the artwork. With the TRP Model, make money from art daily through our unique platform for artists.